1. Unbrecciated olivine gabbro with zoned clinopyroxene. 2. Fragmental anorthositic gabbro breccia. 3. 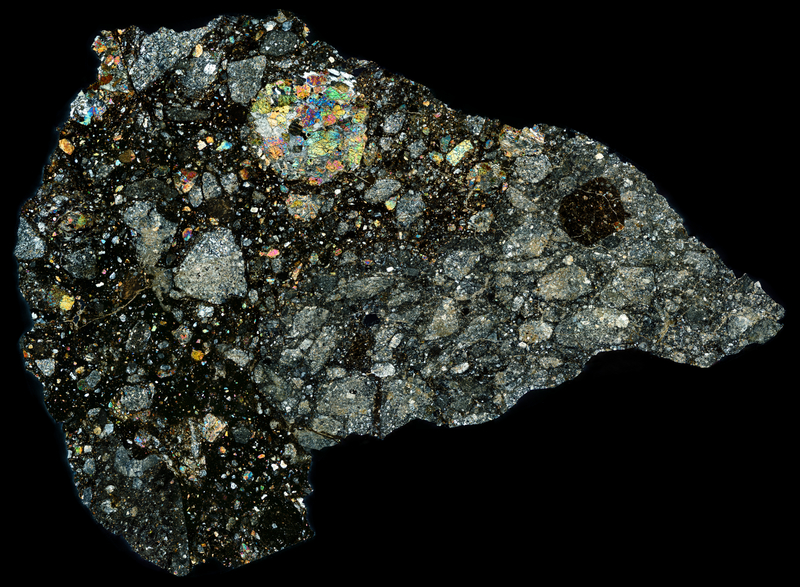 Fragmental gabbroic breccia with approximately equal proportions of plagioclase, pyroxene and olivine. 4. Shock melt veins and pools. There appears to be a least two of these lithologies in this specimen. More information on the meteorite and its pairings: Northwest Africa 10149 clan.